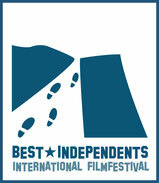 The Best Independents International Filmfestival (BIIF) shows a selection of shortfilms in a summer and a winter edition. The best Indie Films have the chance to win the Best Indie Film Award and will be screened in a Best of-festival programme in film theatres and during major cultural events. We are accepting shortfilms up to 30 minutes of every genre. Please submit via FilmFreeway.